Can Anything Go Right for the Chicago Bulls? 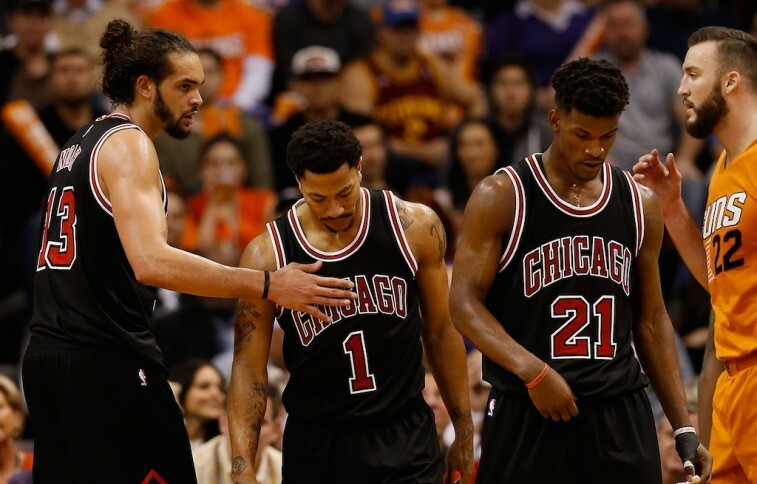 What are we supposed to make of these Chicago Bulls? The 2015 NBA Playoffs had Chicago’s name written all over it. This time around it was the Cleveland Cavaliers who had all the question marks. Not only were they missing Kevin Love, but the remainder of its stars were thoroughly banged up. The Bulls were poised to dethrone the King; even taking a 2-1 series lead against LeBron James and company. Of course, as if on cue, Chicago would be unable to close things out. It would lose the next three games of the series, including an embarrassing 21-point defeat in Game 6 at home. This is not good. Not good at all. And, yet, we can’t be all that surprised. Nothing’s been going right for this organization as of late. And you know what they say: When it rains, it pours. If we’re looking at all the issues with the Chicago Bulls, the first thing that comes to mind is the uncertainty surrounding coach Tom Thibodeau‘s future. By all accounts, his tenure with team is all but over. The two parties can deny this all they want, but enough has been reported to suggest the Bulls brass are eager to move in a new direction. Forget about all the winning that Thibs has done in his five years on the bench. This is the NBA. If you’re not winning titles, then you’re not doing your job. Of course, can a team really expect to win if its two stars are butting heads? If D-Rose and Butler were really having trouble playing together, then this is something that needs to be fixed immediately. In this day and age, you can’t win in this league without multiple stars on the roster. Perhaps their struggles have more to with limited time on the floor together, than one’s inability to deal with the other’s rising stardom. Whatever is at the heart of the problem, perhaps a new coach, with an offensive-minded agenda, can find a way to get make this pairing work. With Rose and Butler on the floor, the Bulls can have a dominant backcourt for years to come. Throw in the fact that Pau Gasol reemerged as a star this season, and the Bulls should be excited with what they have; not struggling to adjust. We’re not sure that moving on from Tom Thibodeau would be the right move for the Chicago Bulls. However, clearly this team is in need of a change. The pieces are in place for this group to succeed, but without the right person pulling the strings, all you’re going to have is a bunch of talented individuals with no direction. 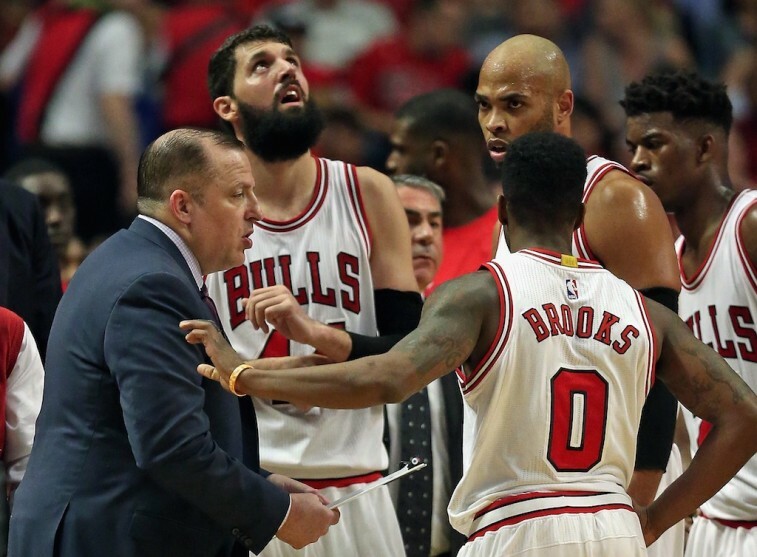 Right now the Bulls are stuck; left with more questions than answers. It would appear that nothing is going right for this team. But hopefully, that means things can only get better.